So you've probably heard the phrase "It's all about timing" right? Well, I think that phrase definitely applies to the real estate market. While not as pronounced as say the stock market, the housing market also has its ups and downs. These ups and downs occur not only over long periods of time, but are also seen throughout any given year, especially during changing seasons. Knowing what market indicators to look for can help you identify the general direction the market is heading and capitalize on it; whether you're buying, or selling a property. Despite the bubbles and down markets over the years, the housing market has generally provided a consistent increase in home values across the board, with some areas of the country getting "hotter" at times than others. 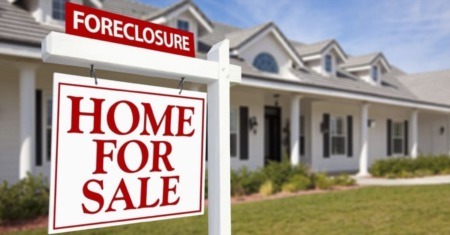 Until the country experienced one of the largest real estate crashes of all time in 2008, many people assumed the value of their home would continue to increase indefinitely. Unfortunately, risky lending practices, overbuilding, extreme speculation, and an economic recession put an end to the streak of gains, but home prices have come back strong in most areas of the country since early 2013! As a real estate professional that works with home buyers and sellers, I'm constantly keeping an eye on MLS listings and local market trends. Obviously there are tons of other factors that contribute to changes in the market, including: the condition of the overall economy, interest rates, unemployment, and other big picture factors. On a micro level, the indicators covered in this article can help predict short term changes in an individual housing market. For a specific housing market, I believe the three most important indicators to watch are: inventory, days on market, and price per sq/ft. 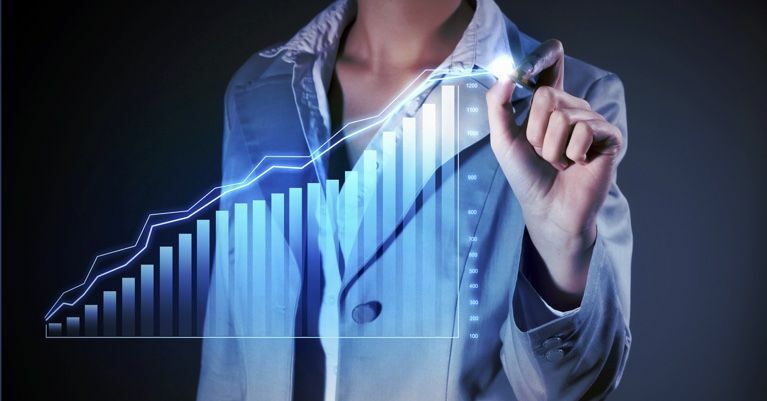 Understanding which direction each of these indicators are heading can help you determine whether the market is getting more or less favorable to your situation. Supply (inventory) is much easier to measure than demand (buyers looking for properties). 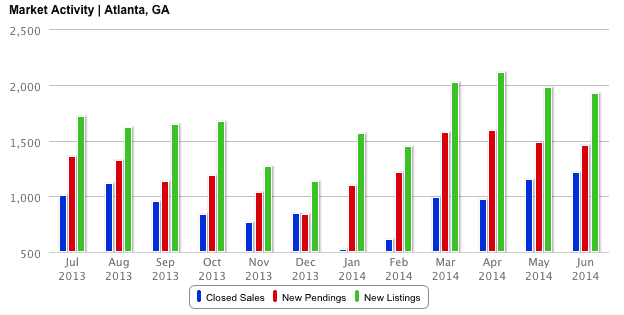 The change in inventory of listings (active, new, pending, sold) can give you a glimpse into the future of the market. Knowing whether supply is increasing or decreasing can help you determine if prices are likely to go up or down. Start by comparing the overall inventory for the year prior to see how the supply of homes has changed versus the year before. Then factor in new, pending, and sold inventory trends for the previous months to see if more homes will likely be added to overall inventory or whether the total inventory may start dropping. Measuring changes in days on market and comparing with the previous months (and years) can give you an idea of the buyer demand for properties. If days on market is trending downward, it's likely there are more buyers in the market forcing homes to sell quicker and/or there are less homes available to choose from (see inventory above). The price per square foot of homes is also a great indicator and is probably easier to understand for most people. While it gives you an idea of the direction prices have been going, it doesn't provide much information on why. Check to see the percentage change in price per sq/ft over the past 12 months to see if home prices have steadily gone up, down, or remained constant. If you're in the market to buy a home and want to get a deal, the fall and winter months are likely your best bet. Your competition (other buyers) tends to drop off during this time of year giving you more leverage. Keep in mind, your choice of properties may be limited since many sellers do not want to move this time of year (they let listings expire or take off the market). When looking to buy during the fall, you'll likely come across homes that have been on the market since the summer. If they didn't sell during the summer, they've likely seen a large drop in buyer interest since the market starts to cool off this time of year. They may be more willing to negotiate knowing they've missed their opportunity and could realize a price cut is required. If you're looking to buy during the winter, you'll have even less competition because most people don't want to move around the holidays. If a seller still has their home on the market or has just listed it, it's probably because they need to sell. Their need to sell combined with lower buyer demand should mean more leverage and negotiating power for the buyer. The grass is green and the weather is warm, so your home will look more "alive" than it does during the winter months when plants and trees are not in bloom. The buyers are out! 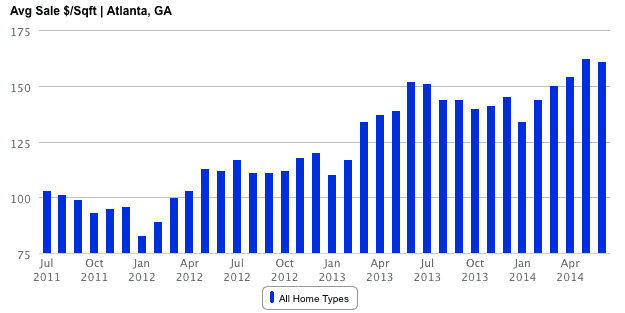 This is the most active time of year for home sales. More market activity means buyers must act quickly and with stronger offers. 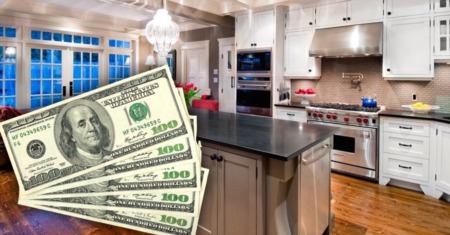 You'll have a better chance of receiving multiple offers and starting a bidding war, which could drive the price up! People are looking to buy before school starts back. Kids are out of school and therefore a better time to move for families. Some parents may be looking to get their children in a specific school district as well. 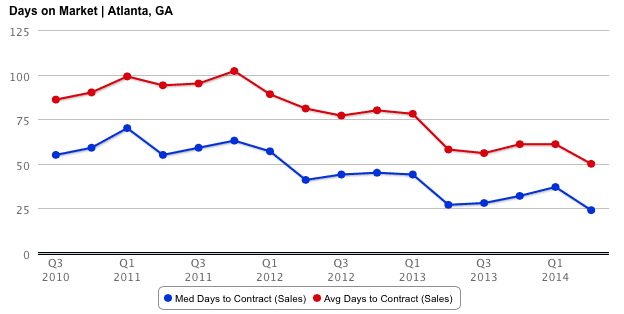 Some will argue that the competition for sellers is higher during the spring a summer months. I think a properly prepared and strategically marketed home will stand out from the competition, therefore having additional buyers in the market helps a seller more than the added competition (more listings on the market) actually hurts you. Buying or selling a home is usually a result of circumstance. People typically buy and sell homes for various reasons, but it ultimately boils down to needing a new place to live. People's lives are constantly changing, from starting families to switching jobs, these things naturally happen. Many times these things are unexpected, therefore the need to find a new home is forced upon us. Although everyone would like to time the market right, there are often just too many variables that come into play. Unless you're an investor or have a flexible living situation, monitoring the market and waiting until the perfect moment to buy or sell can be a challenge. Most of the time it's a matter of luck to time the market just right. Because of this, making a profit on their "investment" is not usually the #1 driving factor for buying and selling, it's more about necessity. If you're thinking about buying or selling real estate, give me a call. We can discuss market conditions and evaluate your individual needs to determine your best options. I'll make sure your purchase or sale goes through smoothly and get you the best deal possible.